Izaak Maurits Kolthoff was a highly influential analytical chemist and chemical educator. 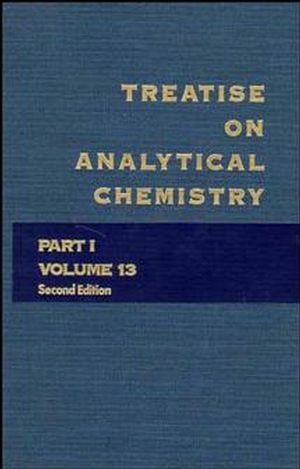 He is widely considered the father of analytical chemistry for his large volume of published research. Philip Juliber Elving was a chemist who served on the faculty of Pennsylvania State University, Purdue University, and most notably the University of Michigan, where he was the Hobart Willard Professor of Chemistry. He retired from Michigan, assuming professor emeritus status, in 1983. Application of Thermal Analysis to Kinetic Evaluation of ThermalDecomposition (D. Dollimore & M. Reading). Thermometric Titrations and Enthalpimetric Analysis (J. Jordan& J. Stahl). The Application of Thermodilatometry to the Study of Ceramics (M.Ish-Shalom). Application of Thermal Analysis to Problems in Cement Chemistry (J.Bhatty).